Harry Knox, HB, 232 pp, 215mm x 275mm, gloss art paper. Printed board covers. 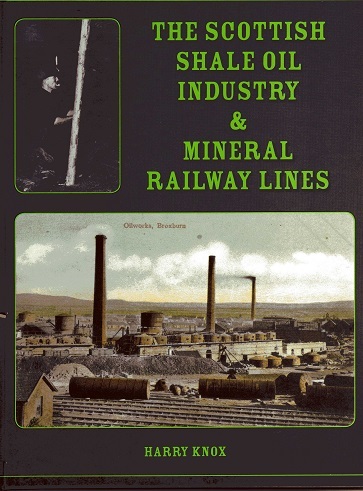 The Scottish Shale Oil Industry was to prove a world first, where mineral oils were produced for the first time,from the oil bearing shale lying below the county of West Lothian, and in an operation on an industrial scale. This enterprise, from the early beginnings in 1851, expanded into an extensive oil producing and refining industry which competed successfully against the increasing tide of imported petroleum and continued in operation until 1962. The history is stunning, involving tales of enterprise, invention, triumph and even failure, but all resulting in innovative progress and a core of Scottish know-how which was to contribute significantly towards the development of the modern oil industry, worldwide. It remains today a source of great pride with an ongoing legacy. This is the story.